This dark spotted fish is known as Matou-Dai and is considered a luxury fish in Japan. Its’ white flesh has a hint of sweetness. That’s the beauty of this fish’s flavour. 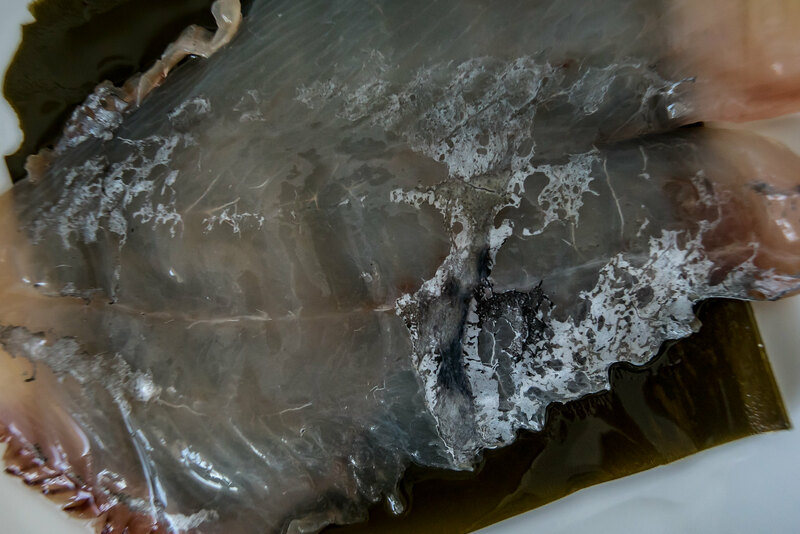 If you like the fluke, you’ll love the Matou-Dai. 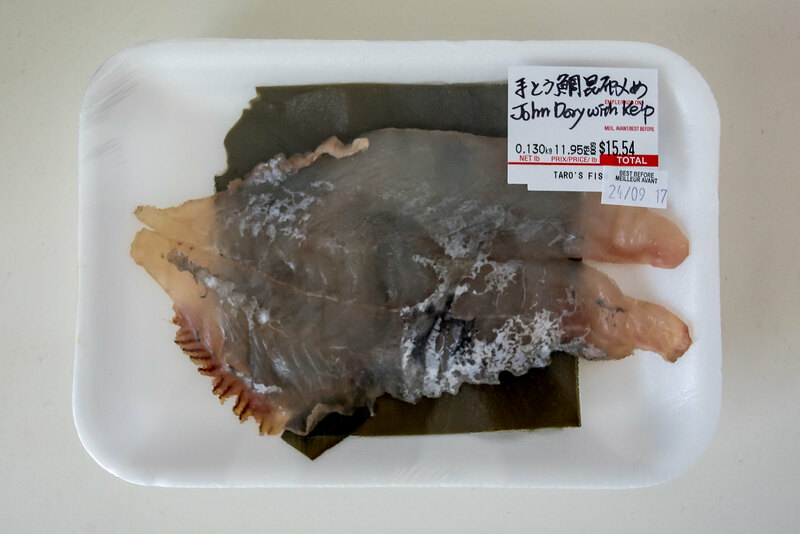 Because of the delicacy of the taste, people tend to eat it as a sashimi “usugiri-thin slice” (if the gut is EXTREMELY fresh) with liver-soy sauce. 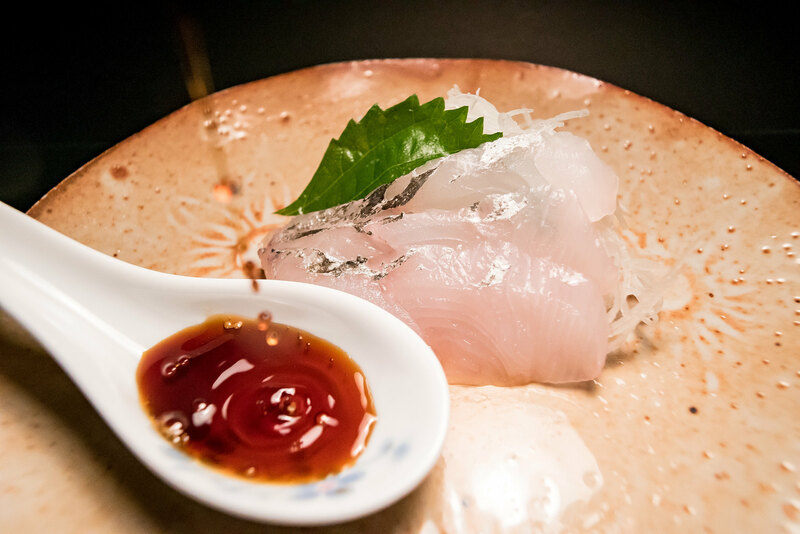 An alternative would be the “Kobujime”, which is a true Japanese technique that enhances the fishes’ delicate thinly sliced sashimi taste. Once you take “Kobujime” home, you’ll put 2 tb spoons of Japanese sake on the fish slice, wait for 10 min to soften up. There are many different ways to enjoy the Matou-Dai, but the one that stands out the most is the Matou-Dai miso soup, made using the head and bone. HINT, HINT, now is the best time to come and visit our fish market for this fish.